Britain’s biggest clothing retailer, Marks & Spencer, announced yesterday (03 Oct) that like-for-like sales for stores including the new ones had fallen by 6%. Although this is’nt as much as John Lewis, who saw its sales drop by 8%, it is still bad. General merchandise, which includes homeware and clothing, saw a fall of 6.4% while food sales fell by 5.9%. This fall in sales is being attributed to consumers switching to cheaper brands offering better value for money. Afterall, when it begins to pinch in the pocket, brand loyalty is bound to be thrown out of the window. On a more optimistic note, M&S said that its promotion “Dine in for £10” was “spectacularly successful” and its online sales had increased by 34%. 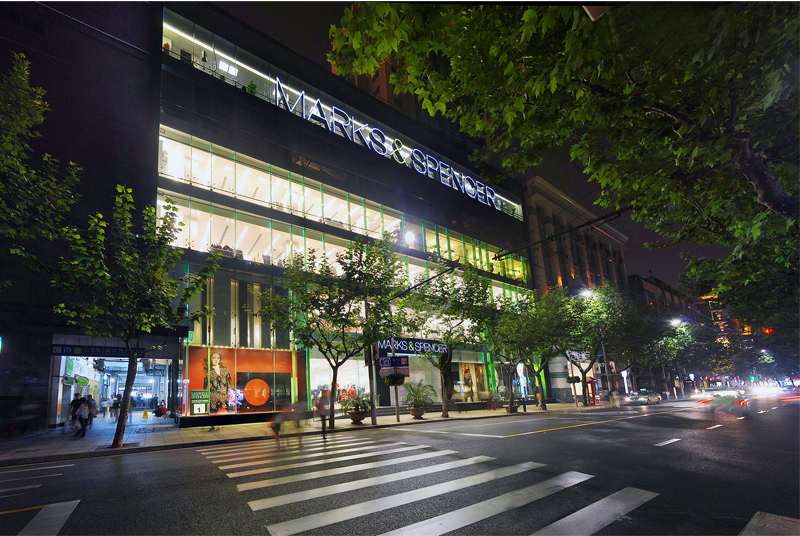 On the bright side, the opening of M&S’s store in Shanghai yesterday was’nt any less of a spectacular success either. The store, situated on the Nanjing West Road, saw home-sick expatriates and the affluent Chinese middle-class queue up outside the store waiting to get their hands on traditional British merchandise. Apparently, items such as biscuits, jams, Double Devon Toffees, fisherman’s pie and digestive biscuits were amongst the most popular items. M&S is targeting the fast expanding Chinese middle-class with increasing disposable income. It hopes that its stores situated internationally will in the future account for 15%-20% of its revenues. Ironically, according to the Guardian, about 30% of non-food items that M&S sells are infact manufactured in China, but will have to be re-imported for licensing reasons.